Got your green ready? St. Patrick’s Day is nigh! Famous for being the day you could get pinched if you’re not wearing green, St. Patrick’s Day takes place each year on March 17. But exactly is it all about? What it is: The feast day of St. Patrick, patron saint of Ireland. Wait. I’m recalling something about snakes. Several legends about St. Patrick sprung up after his death. One says that he drove all the snakes out of Ireland to their watery deaths in the sea. According to modern day science that’s just not true. In fact, there were apparently no snakes even in Ireland! Legend also has it that he picked the shamrock (not to be confused with the elusive four leaf clover) as a symbol of the Holy Trinity. Great. Let’s celebrate! Today, St. Patrick’s Day is observed around the world with parades, feasts, and other festivities. Perhaps you’ve seen the Chicago River being dyed green? For something closer to home, check out some of these Seattle events. Luck o’ the Irish to ya! This entry was posted in Community, Events and tagged history, holidays, patron saint of Ireland, St. Patrick, St. Patrick's Day on March 17, 2015 by Kimberly. NBA Legend KAREEM ABDUL-JABBAR READS @ Central Library; FEB. 19th! Author and former basketball player Kareem Abdul-Jabbar will read from his second book in the Streetball Crew series, Stealing the Game, from 7 p.m. to 8 p.m. Thursday, Feb. 19 at The Seattle Public Library, Central Library, 1000 Fourth Ave., Level 1, Microsoft Auditorium. Library events and programs are free and open to the public. Tickets and reservations are not required. Parking is available in the Central Library garage for $6 after 5 p.m. 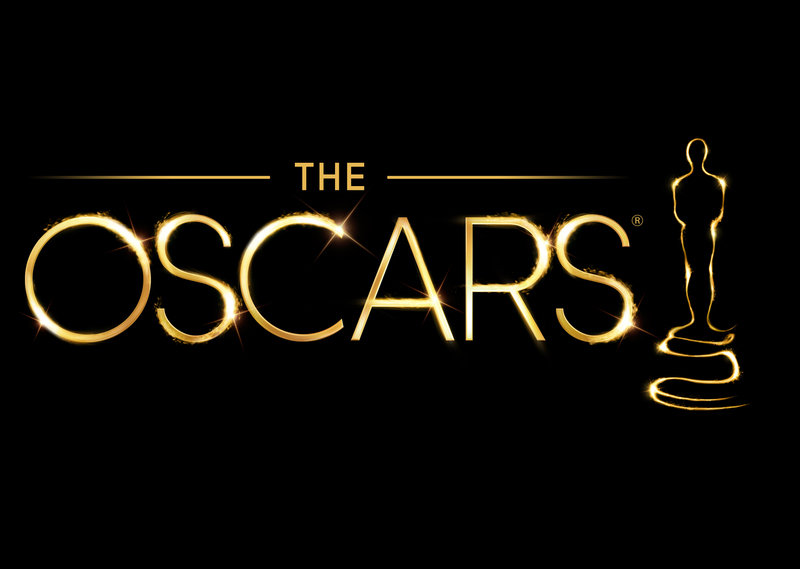 Doors will open at 6:30 p.m. Stealing the Game is a fast-paced story for tweens (ages 8-12) about teamwork, friendship and dark secrets. The book tackles issues like building self-esteem, celebrating one’s individuality and what it means to feel special. “Stealing the Game” also features teenagers who act like teenagers by debating zombies and falling in love while watching classic French movies. Abdul-Jabbar is a retired basketball player named one of the 50 greatest players in NBA history. After his retirement, he wrote nine New York Times bestsellers on topics as varied as World War II, the Harlem Renaissance, and the impact of African-American inventors. The first book in his Streetball Crew series is Sasquatch in the Paint. Supporting this event: The Seattle Public Library Foundation, media sponsor Seattle Times and presented in partnership with Elliott Bay Book Co. Books will be available for purchase and signing. This entry was posted in Author, Community, Events and tagged african americans, author visits, basketball, books for sale, Central Library, detective stories, history, Kareem Abdul-Jabbar, middle school, mysteries, realistic fiction, self-esteem, sports on February 15, 2015 by Rae. Valentine’s Day is February 14th every year, everyone knows that! But hardly anyone knows that St. Valentine still rests in a church in Scotland (more about that below!). In Scotland now, Valentine’s Day is an important holiday, full of traditions and unique celebrations. 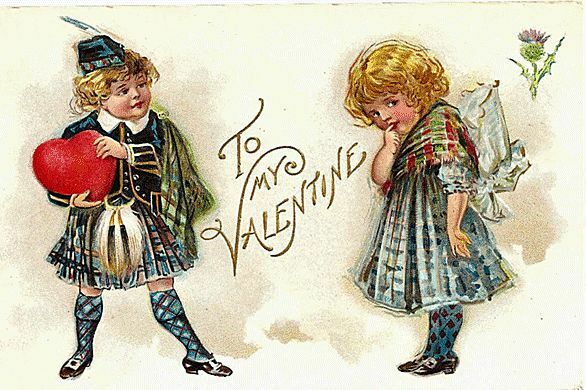 Vintage Scottish Valentine, circa 1907. Valentine’s Day celebrations are not a grand affair in Scotland. People prefer small get-togethers or a romantic candlelight dinner. They exchange gifts and cards with their loved ones to make them feel special. The history of St Valentine’s Day dates back to Roman times when St. Valentine was martyred for refusing to give up his Christian faith. It is believed that the remains of St Valentine’s remains are in the church of Blessed St. John Duns Scotus in Glasgow, a little-known fact that has led to Glasgow styling itself as the ‘City of Love’ in recent years. It is believed that on the night before he died, he left a wee note to the jailer’s daughter signed ‘Your Valentine’. He died on 14th February which some see as the onset of spring, with new buds and spring flowers shooting through the winter ground; and this is a time traditionally associated with finding new love. But February 14th has become a time when couples demonstrate their love by exchanging cards and gifts. Some will become engaged to be married, while others will choose that day to marry. Scotland’s reputation for romantic venues is already well known throughout the world. Indeed the small village of Gretna Green is famous around the world as THE place for romantic weddings. It is the first village over the Scottish border on the road from England to Glasgow. It is renowned for being the place where young English couples in particular eloped; as English Law said they could not marry until they were 18 years old, whereas in Scotland marriage is allowed at 16. The lass is playing coy, but who could resist that wee lad’s offer of his heart? Various games are played in Scottish Valentine parties. In a most popular game, an equal number of men and women are made to write their names on a piece of paper which is then folded and placed into a hat. One hat is for ladies and the other one is for men. The female then draws one name from the men’s hat and the chosen man has to stick with his Valentine throughout the party. Later on, gifts are exchanged and Valentine’s Day is greeted with hugs and kisses. Such “wonderful” Valentine games often result in unusual marriages. Click here to find more fun things all about Valentine’s Day. This entry was posted in Community, Events and tagged history, holidays, valentines, written by teens on February 14, 2015 by pushtotalkteens. 10th Anniversary Of Greenwood Library: Feb 8th! Greenwood Library is celebrating a very special birthday this year. It’s turning a decade old! To celebrate this fantastic achievement, the library is throwing a special celebration. On the 8th of February, many fun activities will be held; all are totally free and open to the public. The celebration will be held from 1:30 pm to 3:30 pm and will be tons of fun. Drop in and check it out. Have some refreshments and share your great memories of this amazing library with your community (and the City Librarian, MT!). We will also be sealing a time capsule. We will stuff the capsule with whatever special memories you choose. There is free parking in the lower garage and refreshments, so there is no reason why you shouldn’t come down to the Greenwood library and have some fun while commemorating a huge milestone for the library and community of Seattle. In 1928 Greenwood-Phinney Branch Library opened, thanks to Greenwood-Phinney Commercial Club and parent-teacher groups. A campaign that raised $340.80 and the generous offer from the library board to operate a branch, allowed the hugely popular library to open its doors. After an expansion in 1932, a remodel in 1939 and because of bond issues in 1950 and 1952, the city council expanded the budget and bought a new book-mobile and 3 new branches. One of those lucky branches was the Greenwood library. Come join the festivities, and commemorate the journey and community love of this great library. This entry was posted in Community, Events, Food, Libraries, Read This!, Teen Powered and tagged celebration, events, Greenwood, Greenwood TAB, history, Libraries for All, spl events on February 4, 2015 by Teen Blogger.